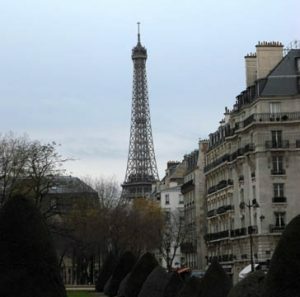 Today — March 31, 2014 — Paris’s Eiffel Tower turns 125 years old. 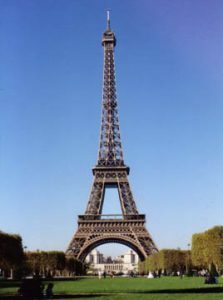 I can’t imagine there’s a monument anywhere in the world that is as recognizable as La Tour Eiffel or as indelibly linked with a nation’s culture as is this wonderful French monument created for the 1889 World’s Fair (and which was supposed to be torn down two decades after the event ended). The tower is beloved by both the French and visitors from around the world. As I’ve already blogged extensively on the tower (one of my favorite monuments in the city), I’ll simply wish a hearty bon anniversaire to La Tour Eiffel and leave you with a link to 40 little-known facts about the tower, its designer Gustav Eiffel and its the structure’s key role in numerous historic events during past 125 years. And here’s a teaser: If the Nazi official in charge of the German forces occupying Paris during World War II had followed Hitler’s orders before retreating from the city, the Eiffel Tower (and numerous other Parisian landmarks) would have been destroyed. Instead, Dietrich von Cholitz refused several of Hitler’s orders to destroy the city, even enduring enraged telephone calls from the Fuhrer demanding that “the city must not fall into the enemy’s hand except lying in complete debris” and later queries of “Brennt Paris (Is Paris burning?” Fortunately, von Cholitz recognized the folly of such destructive actions, and refused to destroy Paris’s multitude of art treasures and historic landmarks. And, oddly, because of the wisdom of a Nazi leader, of all people, we can still enjoy the Eiffel Tower today. This entry was posted in Beauty of Paris, Eiffel Tower, History of Paris, Paris in the News and tagged Eiffel Tower, history of Paris, Left Bank, World War II in Paris by Bob Adams. Bookmark the permalink.